- "It's impossible not to be entangled -- so says Hellinger." - "It's possible to be free, and so say I." I can honestly say that this book is one of the best crime novels I've ever read -- not just this year, but in a seriously long time. 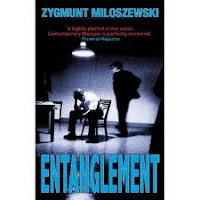 The next book by Miloszewski is sitting here waiting to be picked up and I have to say that I'm so wowed by Entanglement, the first novel in this series, I can only look forward to something as great in his A Grain of Truth. My collection of Bitter Lemon Press novels is also growing and kudos to these people for constantly bringing new and for the most part, outstandingly fine crime fiction to readers of this genre. I don't know how they manage to bring out winners each time, but keep up the good work. "Why was this happening to him right now? Why could there not be one single ordinary element in this inquiry? A decent corpse, suspects from the underworld, normal witnesses who come to be interviewed by the prosecutor with fear in their hearts. Why this zoo?" Meanwhile, in the process of trying to fill in the holes, what he doesn't know is that there is someone taking stock of his every move. "consciously made herself sour, malicious and painfully businesslike, which was in perfect harmony with her appearance, turning her into the archetypal boss from hell. The new prosecutors were afraid of her, and the trainees hid in the toilet whenever she came down the corridor." 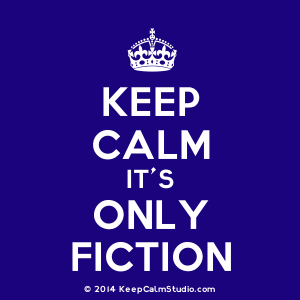 The punch and pizazz he invests in his characters to make them believable also follow suit in the overall writing throughout the book; they keep the action moving, and there are places where you can't help but smirk at Miloszewski's insertion of wry humor. But there is nothing at all funny about this story, where the tension grows not only in terms of Szacki's personal life, but in the murder investigation as it moves toward an incredible ending, as it dawns on you that even in a free society, being free and unfettered may just be a mirage. Super book, one I definitely and most highly recommend. I don't believe I've read anything like it before. If you want a crime read well above the norm, something utterly sophisticated, this is the one. It's really good, and I'm about to start the second book shortly. I wasn't expecting much from this book, given how I don't enjoy most Polish crime novels, but this one was a pleasant surprise. I was a bit put off by the amount of times the protagonist complained about the difficult life of a Polish public prosecutor (I work in a Polish criminal court and things look quite a bit differently from this side of the fence), but apart from that it was a very enjoyable read. I thought so too. I think when you're a part of what an author is writing about you would see things much differently than people like myself who just sort of have to take the author's word for things. I really liked this book...on my top 5 crime novels for 2012.